Danlí is the most important city in the East zone of Honduras, it is located about 100 Km east of Tegucigalpa, in the main road from Honduras to Nicaragua. From Danlí to the Nicaraguan border it´s only 35 Km. Danlí is located in a beautiful spot, surrounded by several mountains and hills, the most known are San Cristobal mountain, and La Piedra de Apagüiz mountain or the Stone of Apagüiz in English. Because the city is surrounded by several and beautiful hills, Danlí is known as the City of the Hills, in Spanish it is “La ciudad de las Colinas”. The name Danlí comes from the word Talli or Xalli, it´s supposed to be a derivation sound from some Mexican dialect which means “Water that runs through a sand bed”. That’s interesting, isn´t it?. I´m surprised I didn´t know this, not until now that I just made some research about Danlí, all my life I guess I never wondered what was the origin of the name Danlí. So now I know, and you also know as well, it´s never too late to learn something new, right? Downtown Danli has a beautiful contrast between a colonial architecture mixed with modern buildings. It has an important museum and historical monuments. This type of mixture offers a unique experience for visitors. Danli also has a pretty good hotel infrastructure, physical spaces and proper services for meetings and events. You can also find modern shopping malls located in different zones of the city. All this makes Danli the most important commercial center in the east part of Honduras. Another thing to know about Danli is the celebration of the National Corn Festival. we can't talk about Danli if we don´t mention this festival. This is an annual celebration, every year in the month of august Danli celebrates this important event. People go to Danli to celebrate this festival, they come from everywhere, and also people from other countries visit Danli. There are several parades in the streets of Danli during the Corn Festival. You can also admire and buy handicrafts. There are like cowboy rodeos, art contests, sports competitions and carnivals. 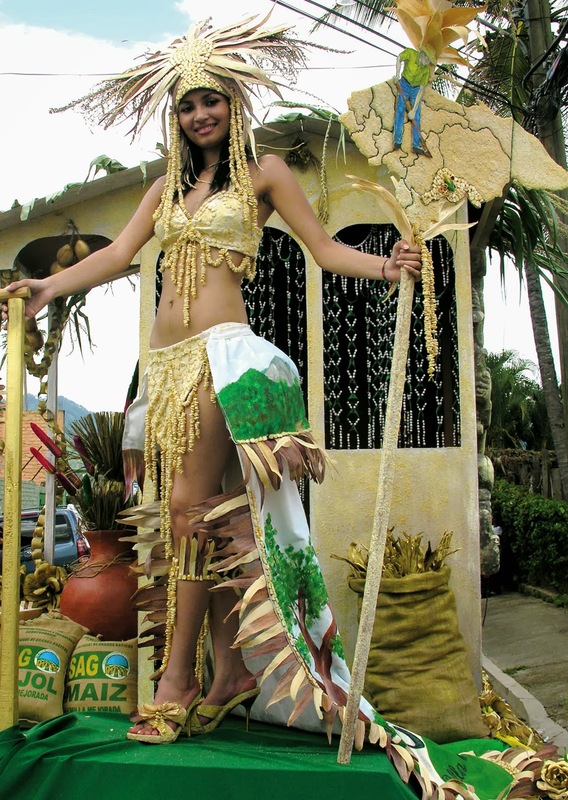 During the Corn Festival Danli becomes like a giant party place, it´s a traditional Honduran party, very interesting indeed. Why Danli celebrates the National Corn Festival? Well, it has to do with Danli being the most important corn production center in Honduras. However Danli produces not only corn, but a lot of coffee as well. Coffee plantations and production is also a very important industry in Danli and the surrounding places. I love Danli, and I usually go there every time I can, not only for the National Corn Festival but anytime. 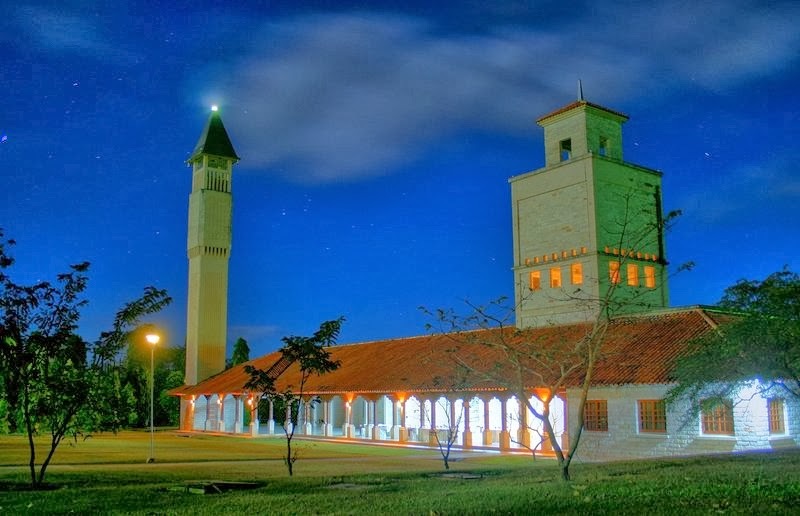 Anyone who knows something about Honduras, even a little bit, probably has heard about the Panamerican Agricultural School, or just Zamorano, the best Agricultural University in America, and definitely one of the best in the world for sure. At least that’s what people say not only in Honduras but in several countries as well. We Hondurans feel very proud about this University. It has a very good reputation all over the world, and I´m not kidding, that´s absolutely true! As soon as you mention Zamorano, anyone in Honduras, Central America and several other countries immediately knows what we´re talking about. Zamorano is not only a very prestigious school, but it´s also a very beautiful place, the natural lanscapes at Zamorano are just great, and the architecture of the buildings are something else, really. Zamorano is located only 30 Km east from Tegucigalpa, so if you ever visit Tegucigalpa you should definitely take some time to go there, only 40 minutes driving on the road. Students from all Latin America come every year to Zamorano to study for 4 years, becoming Agricultural engineers. They live and work in Zamorano for a period of 4 years. Do you know how many students live in Zamorano?. Well, about 1200 students live there, they come mainly from Latin America. I have an interesting question for you… do you know where most Zamorano students come from? Can you guess? I bet you can imagine most students come from Honduras, you´re almost right but the answer is no. Of course many Zamorano students come from Honduras, but the correct answer is… Ecuador, yes most students come from Ecuador, I bet you didn´t know that, did you? This year 2013 I believe Zamorano has students from about 20 countries, most of them from Ecuador, in second place from Honduras, and many other countries specially from Central America, South America, the Caribbean, and even a couple of students from Europe, I´m almost sure about that. There´s also another interesting thing about Zamorano students, about 30% are women. Yes, each day women are more into the agricultural business, and that is very good I guess. 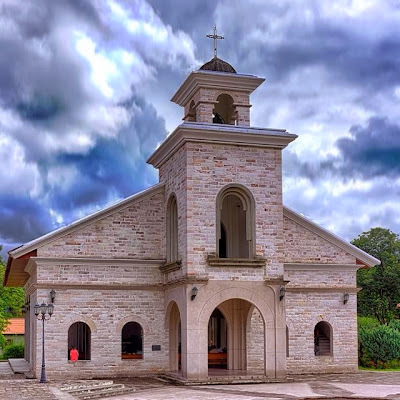 There is so much to talk about Zamorano, we can not cover not even a little bit in this post, but in future posts we will talk about Zamorano again, a great place to study, to work and live. This time I would like to share with you this spectacular photo, this is in La Tigra national park, very near to Tegucigalpa. La Tigra is the main source of water and life for the urban area of Tegucigalpa, it is located north east, you can see the mountains of La Tigra almost from anywhere in Tegucigalpa, just look in the north east direction and there you go. Looking at this photo you may wonder if the photo is an actual photo or it is a painting, I was wondering myself about that when I saw it for the first time. But it is an actual photo, yes, and a spectacular photo indeed!. The person who took this photo is a real artist. By the way, his name is Fuad Azzad Ham, and it´s a pleasure to admire his photos. 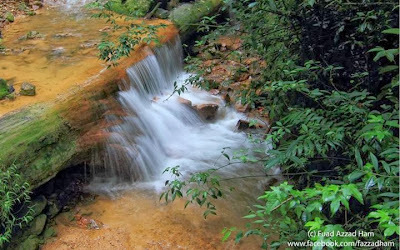 This type of beautiful spots are found in La Tigra, I guess not many people could imagine that such beautiful places can exist very near to Tegucigalpa. Wow, incredible right? If you ever visit La Tigra, now you know that you can find places that are incredibly beautiful like the one you can see in this photo. However, be aware that you have to be ready to walk, because you have to walk a lot through several tracks and paths inside La Tigra in order to get there. I don´t mean to scare you, but some people have lost themselves inside La Tigra, it´s a good idea to go along with a guide or somebody who knows the way, just in case. I’ve not been to La Tigra myself since a long time ago, what a shame. I guess I have to go again as soon as possible. I’ll try to find this beautiful spot the next time I go there, I have to see it with my own eyes. Just take a look at this picture, and tell me what’s the first thing that comes to your mind when you look at it?. I don´t know about you, but as for me the first thing I think is what a splendid place, beautiful, nature at its best! Wow, no words for a beauty like this. Well, this place is Cuero y Salado Wildlife Refuge in the north coast of Honduras, it is located about 35 Km from La Ceiba, in the Caribbean coast. It is a national park, a wildlife refuge, and it should be, there’s no way to take civilization to a place like this, I guess the best thing is to keep a place like this as a protected reserve forever. The refuge is embraced by two rivers, one of them is Cuero river, and the other one is Salado river. 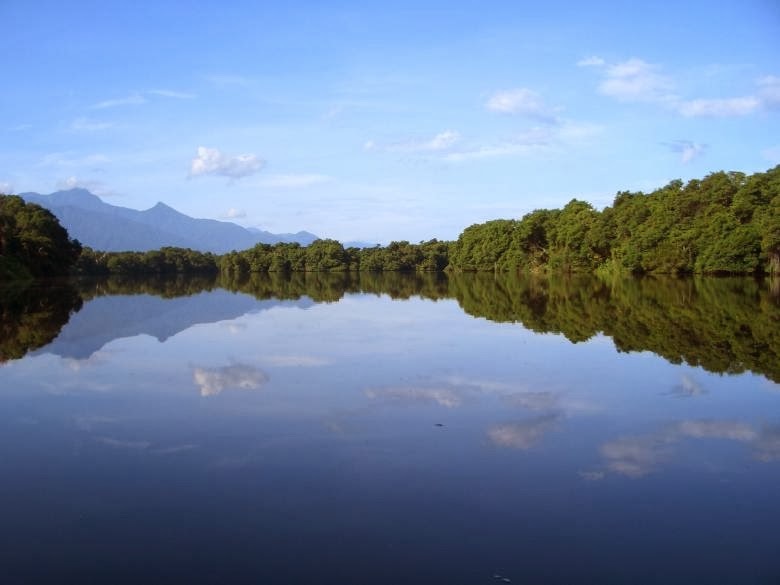 “Cuero y Salado” means “Leather and Salty”, the water is a mixture of salty water from the Caribbean sea and fresh water from the rivers nearby, and it is home of many flora and fauna species, one of the most known fauna species is the manatee, which is an endangered species animal in this region. Other animals that have found a natural shelter are the jaguar, several species of monkeys, caimans, and birds of course. 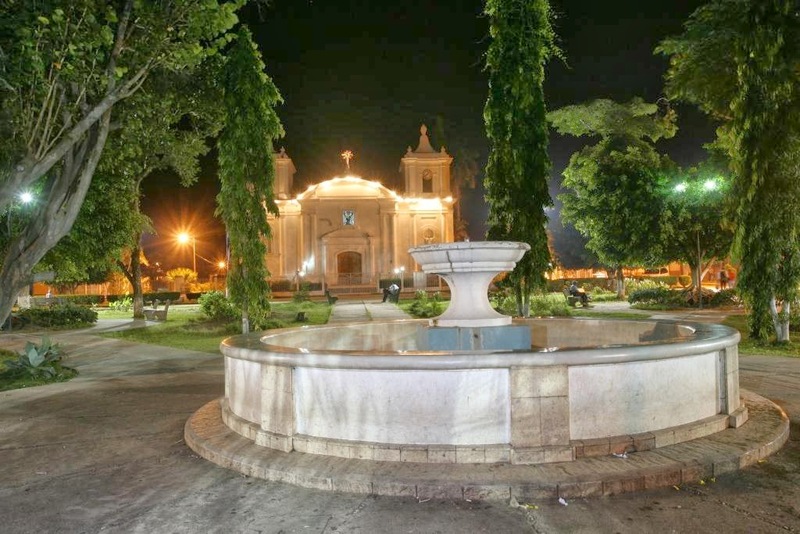 If you ever want to go to Cuero y Salado, you should know that it´s in the way from La Ceiba to Tela, there is a small village named La Union, that´s the way to go to Cuero y Salado. When you get to La Union, you have to take a special train vehicle, it´s called “La Burra”, it´s a traditional vehicle very famous in this region, it travels on the railroad tracks until you get to Salado village, located right at the mouth of Salado river, and there you are, at Cuero y Salado wildlife refuge, at the entrance at least, because from that place on you have to take a boat with a guide and take a trip into the water channels if you want to get to know more of this place. For tourists who are into adventure type of things, this a place to visit, it´s a must if you ever come to Honduras, am I right?. Of course I am. This is a place worth visit, definitely. The island of Zacate Grande in the Pacific coast of Honduras, what a beautiful place!. Are you wandering what does Zacate Grande mean?. Translated to English, it would be something like Big Grass, so it is the Big Grass Island. But it doesn´t sound very good in English to me, so let’s keep the original name in Spanish, Zacate Grande. 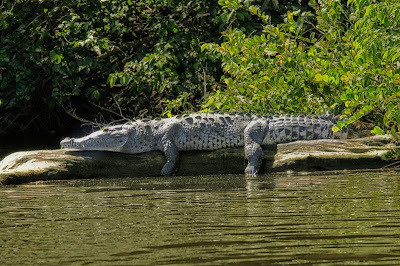 Zacate Grande is an island located in the Fonseca Gulf, in the south part of Honduras. It used to be a volcanoe thousands of years ago, but it’s a dead volcanoe now, so don´t worry if you ever go to Zacate Grande, don’t worry about volcanoe eruptions or anything like that. To the south of Zacate Grande we can find the Tiger Island, or Isla del Tigre, it´s another beautiful island, where the city of Amapala is located. The Tiger Island used to be a volcanoe also, just like Zacate Grande. The Tiger Island and Zacate Grande are very near one from another, at some point they are 2 kilometers away. If you are a good swimmer, you could swim from one island to the other one, 2 kilometers is not that much if you think about it. However, don´t ever think it would be that easy to swim, you have to swim into the Pacific Ocean, and that´s not easy. Yes, the Pacific Ocean is the one separating both islands. The photo here of Zacate Grande island was taken almost from the top of the dead volcanoe in Tiger Island. You can see in the photo how close both islands are. In the background into the horizon you can see mainland Honduras, that´s to the north. What a beautiful place this is, don´t you think? I´m sure you will agree with me this is really a beautiful place, no doubt about it. So, if you ever go to Amapala, which is in Tiger Island, you are welcomed to climb to the top of the dead volcanoe, if you can of course, and if you take a look to the north you will see Zacate Grande island, just like the view in this photo. Honduras is located in the middle of Central America, bordering with Guatemala to the West, El Salvador to the South, and Nicaragua to the South-East. It's only 2 hrs flying from Miami or Houston. "This is an exceptionally well done site. 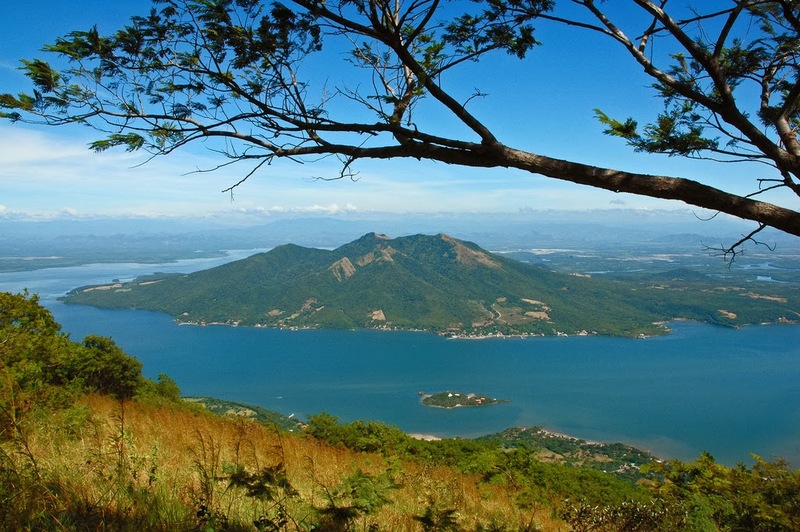 Honduras is a beautiful country according to the lovely photos. The information about the sites and places to go see is very informative. This site is a pleasure to visit." "First time that I heard about Honduras..:) Very informative website and great content. Easy to navigate and loads fast. Keep on posting! " "Where is Honduras? I know now that the country is simply stunning! Great website"
"Was also wondering where is Honduras but after reading this blog i now know more than where it is but also what to see, great site"
"I really enjoyed the information offered on this site on Honduras. I had heard of it before but never really knew anything about it or where exactly it was located. Thanks for the information." Travel Directory of Honduras - free online catalog of relevant and useful web sites. Free submit a site to Honduras web directory and link exchange. International Circuit - unbiased travel reviews for top vacation destinations. Copyright © 2013 www.whereishonduras.com. Powered by Blogger.